A new program developing and applying globally applicable assessments of coastal wetland health to drive actions and investments towards protection, restoration and improvement of wetlands worldwide. ​Congratulations Dr Pearson. Thesis “Shell walls: A new hope. Using barnacle shell isotopes as a conservation tool for understanding the movement ecology of threatened sea turtles”. Ryan used the chemistry of shell walls of barnacles living on turtles (and his in-depth knowledge of Star Wars!) to track migrations of endangered loggerhead turtles over 1000's of kilometres between their feeding and breeding grounds. It's a technique that can be applied widely for conservation science of other turtles and marine fauna. Example paper: Pearson, van de Merwe, Limpus, Connolly (2017) Realignment of sea turtle isotope studies needed to match conservation priorities. Mar Ecol Prog Ser (link). ​We use deep machine learning to automatically detect, identify and count fish in underwater videos (paper). ​We are also measuring human sentiment in social media as a potential indicator of the health of the Great Barrier Reef in Australia (﻿paper﻿). Congratulations Dr Martin. Thesis “Functional ecology of fish on coral reefs – the roles of seascape and subsistence fishing”. Tyson applied his sublime underwater skills across the Pacific Ocean, from the atolls of Marshall Islands to the seascapes of his home reefs in Hervey Bay. He revealed important global patterns in the roles of fish in coral seascapes – and well and truly lived up to his alias “FishBoy”. Example paper: Martin, Connolly, Olds, Ceccarelli, Fenner, Schlacher, Beger (2017) Subsistence harvesting does not substantially compromise coral reef fish assemblages. ICES JMarSci (link). And see video of Tyson's work in the Marshall Islands. The first comprehensive assessment of mangrove carbon stocks, country by country around the coastlines of the world. Shows clearly where most urgent attention to mangrove conservation is required. We need to do all we can to prevent major losses in Australia, such as the massive die-off in northern Australian in 2016. And to tackle climate change globally, effort is required in places like Myanmar, the country showing the most rapid loss of mangrove area yet with very little information about carbon stocks. Predicting interactive effects of multiple stressors on marine ecosystems. The cumulative impacts generated by multiple stressors on ecosystems can accelerate or mitigate ecological degradation. Existing models do not account for these interactions. Predicting how multiple stressors interact spatially to affect ecosystems can account for interactive effects and may substantially alter management decisions and outcomes. Congratulations to Dr Engelhard. Thesis “Marine spatial connectivity in theory and conservation”. Sarah used novel experiments to address spatial conservation challenges involving animal movement in marine ecosystems, and mathematical modelling to prioritise connectivity for conservation planning in a seascape. Connectivity structures populations, communities and ecosystems in the sea. A global review published in Global Ecology and Biogeography highlights that in most cases, greater seascape connectivity within reserves improves conservation outcomes. There is a need for stronger links with landscape ecology and marine spatial planning in order to improve conservation outcomes in the sea. Coastal marine and estuarine ecosystems are highly productive and serve a nursery function for important fisheries species. They also suffer high rates of degradation from human impacts. Identifying and valuing nursery habitats is a critical part of their conservation. The loss of top level ocean predators, such as sharks, can have far-reaching consequences for our ability to offset climate change impacts. The abundance of ocean predators can affect carbon capture, accumulation and preservation in vegetated coastal habitats such as mangroves, saltmarsh and seagrass. Intact predator populations are critical to maintaining and even growing reserves of ocean carbon. Policy and management need to be improved to reflect these realities. · But we can lose a lot of that by mis-managing ocean predators! We have a Discovery Project funded by the Australian Research Council investigating how the resilience of marine ecosystems is influenced by connectivity among ecosystem components. The project tests ecological theories about the response of ecosystems to environmental disturbance and leads to practical outcomes that will influence natural resource management. The project is led by Prof. Rod Connolly in collaboration with Prof. Thomas Schlacher (University of the Sunshine Coast). Dr Chantal Huijbers leads a project using stable isotope analysis to trace the dependence of of fisheries species on coastal habitats such as seagrass and mangroves. Paul graduated with his PhD "Ecological resilience theory: application and testing in seagrass ecosystems". Paul used underwater surveys and mathematical modelling to identify critical feedback loops and measure resilience in seagrass meadows exposed to severe environmental disturbance. Example: Phenotypic plasticity promotes persistence following severe events: physiological and morphological responses of seagrass to flooding (2014) Maxwell, Pitt, Burfeind, Olds, Babcock, Connolly. J Ecology. 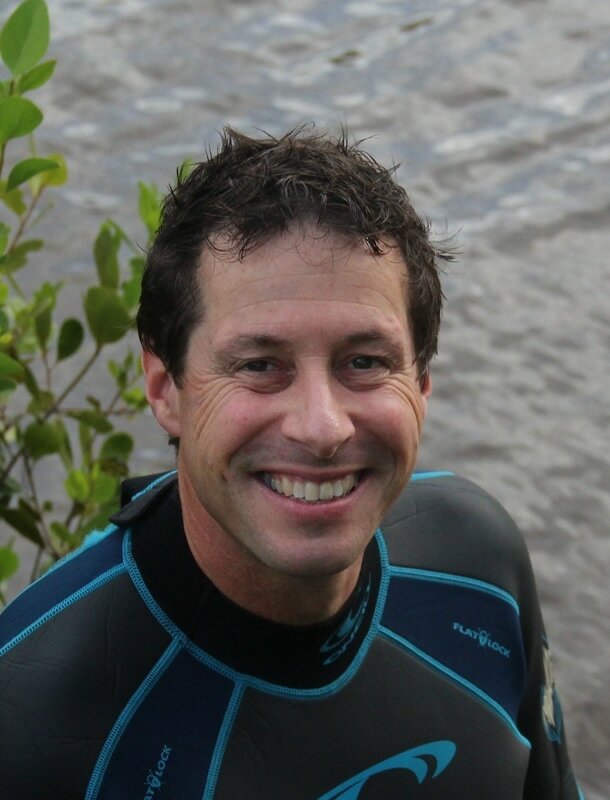 Rod's TEDx talk is about resilience in marine ecosystems, highlighting student Paul Maxwell's focus on feedback loops as key to understanding and measuring resilience. See Paul's paper: ﻿Phenotypic plasticity promotes persistence following severe events﻿﻿: Physiological and morphological responses of seagrass to flooding ﻿(2014) Maxwell, Pitt, Burfeind, Olds, Babcock, Connolly. J Ecology. And the genetic basis: Highly disturbed populations of seagrass show increased resilience but lower genotypic diversity (2018) Connolly RM, Smith, Maxwell, Olds, Macreadie, Sherman. Front Plant Sci. Rod and colleagues recently showcased their work on a national segment of ABC TV program Catalyst. They focused on their research into the effects and outcomes of a major flood in southeast Queensland and the response of seagrass and corals to massive sediment input. The show can be watc﻿hed﻿ on the ABC Catalyst site. This feature article by Connolly ﻿and Schlacher in Marine Ecology Progress Series (2013) shows that acidification of samples prior to sulfur isotope analysis results in invalid ratios and should not be used. Rod collaborates with a team of p﻿rominent ecologists in the federally-funded Collaborative Research Network led by Prof. Thomas Schlacher, University of Sunshine Coast. Their projects include: 1. carbon transfer from ocean to land, in Australia and the Pacific islands, 2. marine reserves and food security in coral reef seascapes. Rod led this review of the report card monitoring of water quality and ecosystem health relating to Gladstone in Queensland, Australia. The work is a collaboration between Australian Rivers Institute, Central Queensland University and University of Queensland (photo Patrick Ward).